How to tie shoes one-handed using the “Ian Knot:” There are various methods of tying shoelaces with one hand. This video features a technique of pulling two loops through each other. While the one handed variation is not as fast as the two handed know, it’s hopefully easier than other solutions. Think you can’t cook as an amputee? 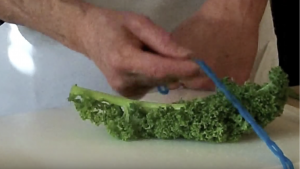 Try this video from Rosanna Radding on one-handed food prep that covers chopping, cutting, slicing, de-ribbing and more. It features the CanDo Cutting Board that shows a modification you could make to your cutting board. 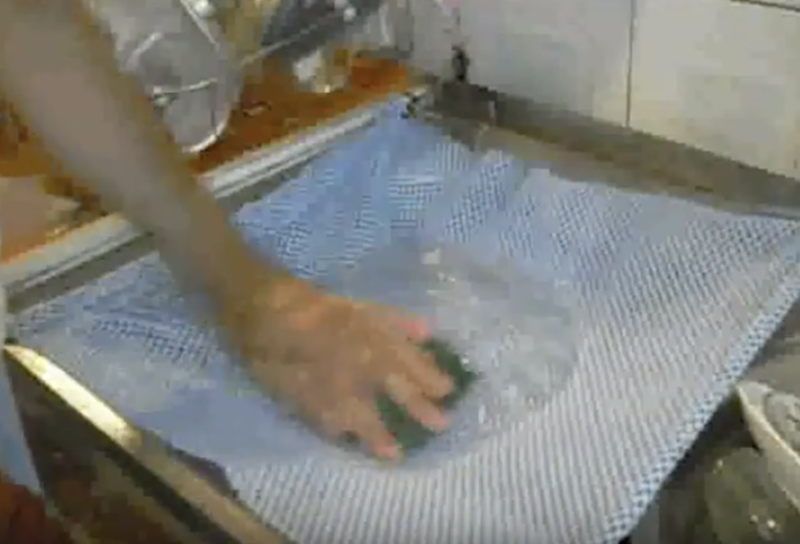 Whether you are an amputee, or lost the use of one hand through a stroke or some other mishap, washing dishes with one hand can be a challenge. Going beyond putting non-skid mats in the sink, this video shows you easy adaptions that make the job easier! 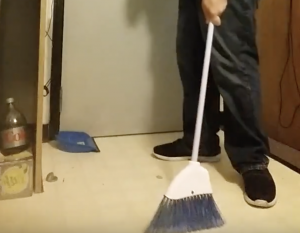 A simple job such as sweeping can be difficult even if you are just momentarily one handed. 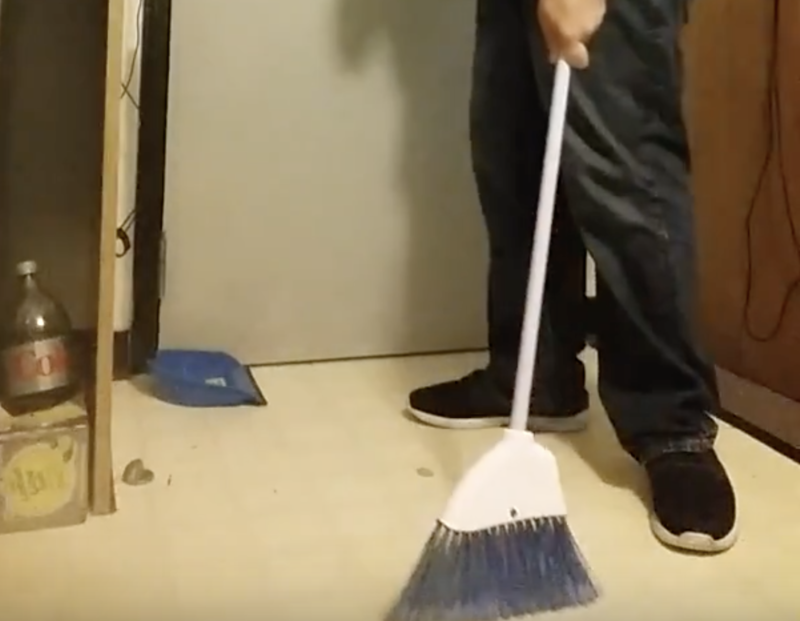 This video demonstrates clearly how to sweep an entire room quickly using just one arm. 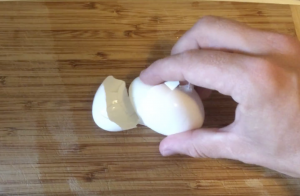 Sometimes peeling hard boiled eggs are hard for anyone! But here is how to do it easily with just one hand. You don’t actually peel it, the key is to roll it out of the shell. And after boiling run them under cold water, as that can help.